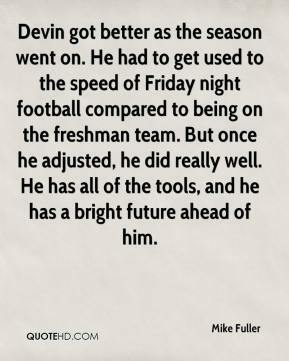 Devin got better as the season went on. He had to get used to the speed of Friday night football compared to being on the freshman team. But once he adjusted, he did really well. He has all of the tools, and he has a bright future ahead of him. I'm so proud to see him on the all-district list. 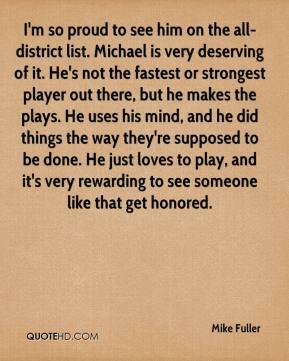 Michael is very deserving of it. He's not the fastest or strongest player out there, but he makes the plays. He uses his mind, and he did things the way they're supposed to be done. He just loves to play, and it's very rewarding to see someone like that get honored. 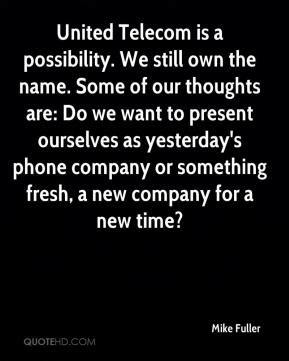 United Telecom is a possibility. We still own the name. Some of our thoughts are: Do we want to present ourselves as yesterday's phone company or something fresh, a new company for a new time?